Cinnamon Dolce Syrup Recipe - Just like Starbucks! 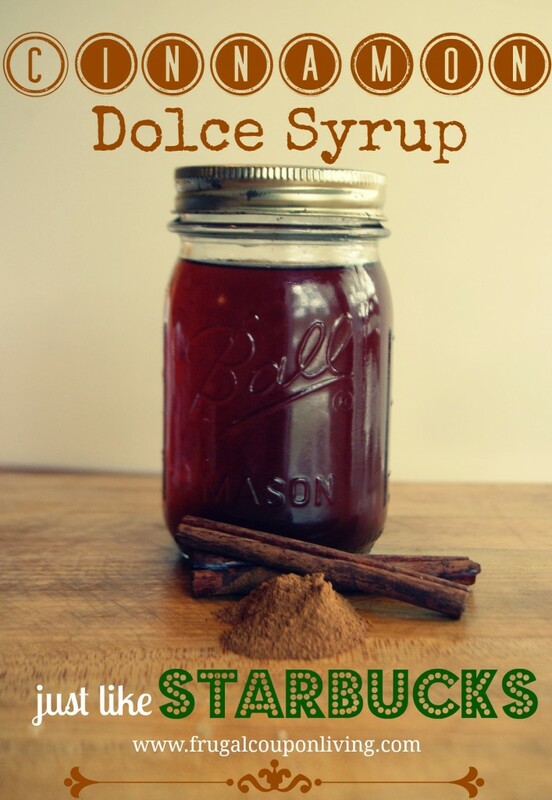 Cinnamon Dolce Syrup Recipe – Just like Starbucks! Love the Love Starbucks Cinnamon Dolce Flavor for your Coffee? Then you will love this Cinnamon Dolce Syrup recipe fantastic over pancakes, ice cream, brownies and more. When I discovered I could make this at home, you know in my pajamas, I was ecstatic. Even better? The taste is amazing. The sweet flavor begs to be added to your hot or iced coffee drinks. Most ingredients are probably already in your pantry. Stock up on cinnamon sticks and make a triple batch or even an entire case of jars . It’s a thrifty treat too, large bottles of this syrup sell for around $20, this recipe is about $2.00 to make so that is an INSTANT 90% savings. In a medium saucepan place water, sugars, cinnamon, and cinnamon stick. Bring to a low boil, reduce heat and simmer for 15 minutes, stir in vanilla. Remove from heat, and remove cinnamon stick. If desired strain through a cheesecloth or coffee filter to remove excess cinnamon powder. Allow to cool for 10 minutes and pour into container of choice. Tuck a jar or dispenser bottle of this yummy homemade delight alongside some coffee, a pretty coffee mug, a seasonal inexpensive candle, and small package of chocolate covered espresso beans for a thoughtful and crafty gift. For storage, I love using mason jars. Tie it off with raffia and include a cinnamon stick and handmade label to finish it off. Perfect for gift exchanges, secret santa, or any coffee lover in your life. Like the Cinnamon Dolce Syrup Recipe? Be sure to Pin to Pinterest and to find more Pinterest Ideas and Recipe Ideas on Frugal Coupon Living. 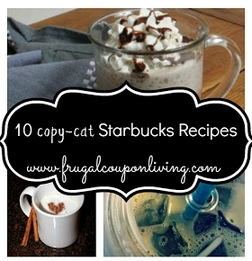 Don’t forget the Starbucks Copy-Cat Recipes, the Pumpkin Spice Coffee Frappuccino Recipe and FREE Coffee K-Cup Recipe eBook. Can this syrup be water canned? Ifso how? this isn’t Starbucks syrup. To make the cinnamon dolce. You use only white sugar and you caramelize it before using. Not exactly Starbucks, but delicious. Great in coffee OR my little girl likes it mixed in milk – Cinnamon Milk!